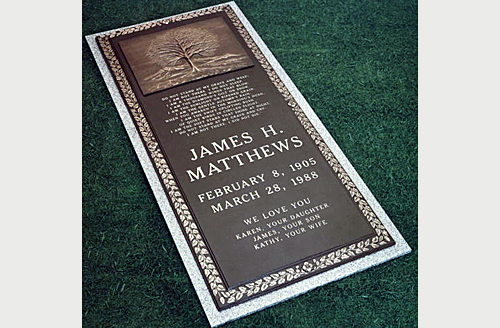 The bronze grave cover pictured above was set over the grave of James H. Matthews in Evergreen Cemetery in Jacksonville, Florida. The monument was designed and built by the City Monument Company of Miami, Florida on behalf of the Matthews family. 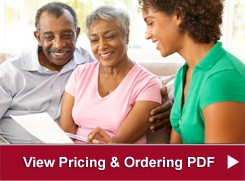 Evergreen Cemetery is a historic cemetery located north of Miami in Jacksonville. The historic burial grounds were added to the National Register of Historic Places on April 8, 2011. James H. Matthews was born on February 18, 1905 and died on March 28, 1988. His birth and death dates are inscribed on the bronze plaque which has been mounted to a granite slab. 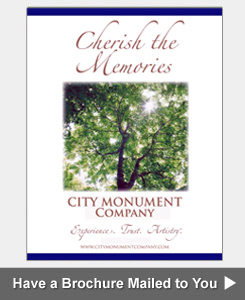 The City Monument Company designs bronze grave covers, granite ledgers, full and half ledger grave markers, grave ledger stones and bronze grave ledgers for families in Miami, South Florida, Miami-Dade County and the Caribbean Islands. We design and manufacture bronze grave covers in our production facility in Miami, Florida. Once they are finished, we then deliver them to cemeteries in South Florida or ship them to various locations outside of South Florida across the United States. Call 305-594-4628 if you are interested in purchasing a bronze grave cover similar in style to the one pictured here. We will be happy to provide you with an estimated cost to design this type of cemetery memorial for your family or relative. Ledgers, like flat, flush or lawn level markers, are designed to lie flat on the ground. 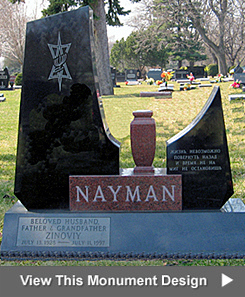 Full ledger markers are solid granite pieces sized to cover the entire grave, in most cases. 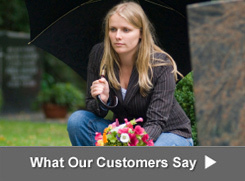 Grave covers are granite slabs that are often placed in front of a cemetery memorial or headstone. Granite ledgers, in contrast to traditional erect cemetery monuments, cover the actual grave. You will see these types of memorials in cemeteries located in Miami, Florida and neighboring communities. We custom design bronze ledgers and granite ledgers which are set in cemeteries to cover a portion of the burial grave. These grave markers are different than traditional headstones which are placed at the head of the grave. The City Monument Company also manufactures ledger panels which are frequently built by using a few smaller panels which are then attached. Some people refer to ledgers as ledger stones. This type of cemetery grave marker is a low to ground large rectangular grave marker usually fabricated from granite (they used to be constructed from white marble or sandstone) that is set flat over a grave or placed on top of a box tomb (vault or crypt) or table tomb which are used for in-ground burials. You may see ledger stones in older cemeteries that have armorial crests or Latin inscriptions. Ledgers commonly sit directly on the ground or on low level supports. Newer cemeteries, often called Memorial Parks or lawn cemeteries use ledger stones to make sure the appearance of the grounds is neat and because maintenance is easier. Ledger stones usually have specific information about the deceased etched into the surface. One or more names of the interred may be inscribed on the ledger stone and are ordered by the date of their interment. We manufacture ledgers and grave covers in different sizes and colors of granite. Bronze is often added to a ledger to increase its aesthetic appeal. We design individual ledgers that pay tribute to one person and double or companion ledgers that memorialize two people, usually a husband and wife. Granite grave covers and bronze ledgers may be used alone or may be combined with other types of cemetery memorials, headstones, tombstones, gravestones and monuments. Ledgers are frequently attached to a granite base. Our stone cutters and carvers can polish all the visible surfaces of the ledger. Parts of the ledgers that we make that are not polished are rock pitched which produces a rough rock finish. Our artisans usually use a rock pitch finish on the sides of a ledger, memorial bench or monument base. This type of finish is produced by splitting the granite. We can also cut core holes into the ledgers that we fabricate to hold flower vases. Custom cast bronze and three dimensional (3D) Bas-Relief bronze styles are available. Ledgers can be personalized by our designers with unique carvings, finishes, funerary art, symbols, images, hand or laser etched scenes, sculptures, lettering, shapes, colors and textures in order to memorialize the unique life of a loved one, relative or family member. Names, inscriptions, epitaphs, sayings, religious verses, poems, bible quotes and birth and death dates are usually carved or etched into ledgers we handcraft. The designers at the City Monument Company can also include bronze elements such as cast bronze flower vases which are often set in the center of the ledger at the top. Other options for additions to ledgers include porcelain photos or ceramic portraits and bronze plaques.